Faisant suite à notre lecture, je souhaite que vous lisiez cette article et que vous m’expliquiez en quoi ces révélations corroborent les tensions que nous avons notées dans notre poème. A new article is revealing how French towns coped with waves of plague outbreaks and other diseases in the late Middle Ages. It explains how these towns they made vigorous attempts to improve hygiene, employ doctors and isolate those infected so they would not spread the disease. 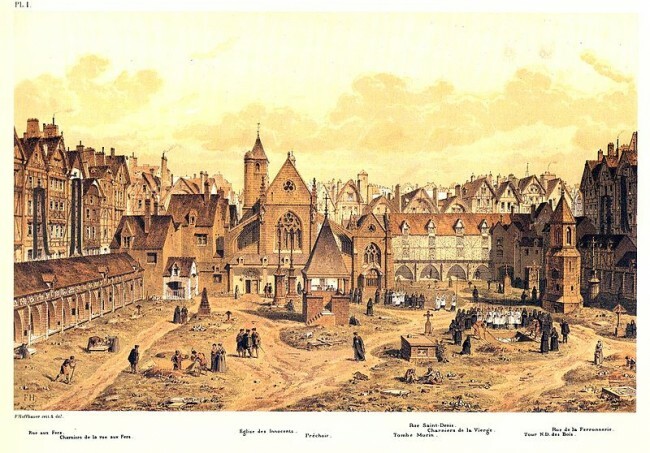 The article, “Plague Ordinances and the Management of Infectious Diseases in Northern French Towns, c.1450-c.1560,” by Neil Murphy, focuses on cities such as Paris, Rouen, Amiens and Tournai, making use of surviving municipal records. 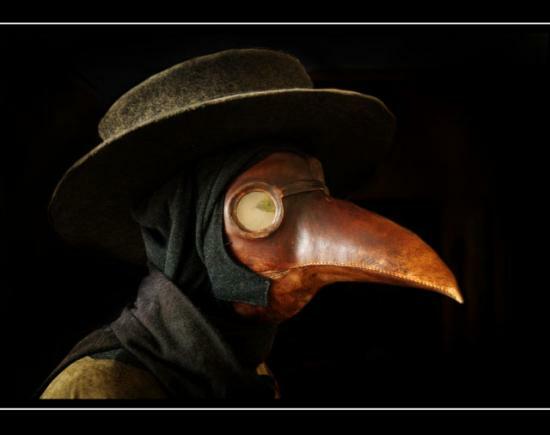 During this period, outbreaks of plague occurred about once every ten years and municipal councils were seeking out ways to help prevent and deal with the epidemics. One of the first measures that towns would take would be to keep the streets clean and improve hygiene, as it was believed that polluted air was one of the major factors in the spread of disease. Street cleaning and refuse removal was done in some towns by the 14th century, and areas that were especially polluted, like markets, would be “targeted for vigorous cleaning by specially-appointed teams of workmen.” There was also a range of new sanitary laws during this period, such as a prohibition on public urination in Abbeville in 1459 and a demand that all houses in Rouen have their own latrine in 1518. Murphy notes that in the towns you would have a “plague industry” – people who would be employed to deal with these epidemics, includ ing teams to bury the dead, and surgeons and physicians to treat the ill. In the summer of 1458, Abbeville’s town council hired between 12 and 16 men as gravediggers for 12 s. per week. In 1483 the same town hired a barber-surgeon who would bleed patients (it was wrongly believed that bleeding victims was a good treatment), but he died two weeks into the job. The town council was only able to hire a replacement after doubling his wages. Meanwhile in Amiens in 1478, a group of Franciscan monks agreed to pledge their services to the town to take care of the ill – the town council in return send them food and supplies and helped pay for the upkeep of their buildings. University-trained physicians would also be hired to give advice to town councils and help determine which type of sickness was threatening the inhabitants. Throughout the fifteenth-century it became more understood that it was important to implement quarantine measures and “limiting the contact between the healthy and the sick.” For example, in 1402 the town of Saint-Flour confined all prostitutes in a house until an outbreak was over, while in Amiens in 1493 and 1519 they hired mercenaries to guard the city’s gates so that no one could enter or leave the town. While in some towns those who caught the disease and their families were confined to their houses for several weeks, although efforts were made to provide them with food. A more drastic measure was introduced at Troyes, in which those who were sick and all their relatives would be banished from town for at least three months and had their homes burned to the ground. By the sixteenth-century many towns had pest houses, where all those who were sick would be taken and treated (as well confined until they either died or got better). Murphy also notes that these towns were also gradually imposing stricter conditions on lepers and the poor, especially against wandering vagrants who they wanted to keep out of their cities. The article, ”Plague Ordinances and the Management of Infectious Diseases in Northern French Towns, c.1450-c.1560,” appears in The Fifteenth Century, Vol. XII: Society in Age of Plague, edited by Linda Clark and Carole Rawcliffe. This book contains ten essays that focus on the Black Death and the plague in western Europe. Neil Murphy is a lecturer at Northumbria University.